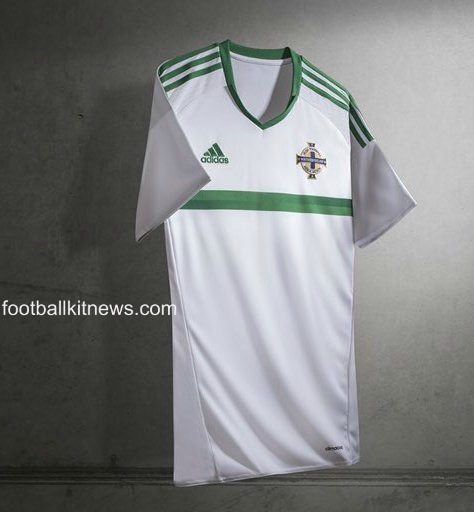 Days after the release of the controversial Northern Ireland home kit for Euro 2016, Adidas have today (November 12, 2015) followed it up with the release of their new away strip for next summer’s Championships. 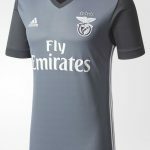 The shirt is predominantly white with two toned green horizontal stripes, quite similar as a template to Bosnia’s Euro 2016 home jersey. 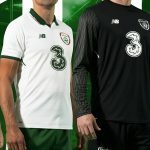 It is also an attempt at placating the Green and White Army after the outcry over the home shirt, with the jersey prominently using the two colours and paired with green shorts and white socks. 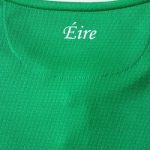 A petition on change.org asking Adidas to change the home kit attracted several thousand signatures, with many NI fans expressing their unhappiness at getting a poor design for what is a major event in their football history- the upcoming Championships will be their first major continental appearance. Nothing special. 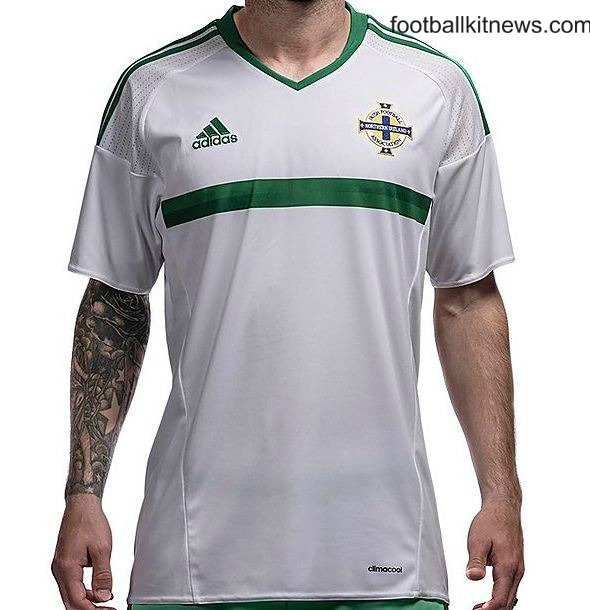 Another expensive looking t shirt. Nothing to wright home about as they say very dull indeed.